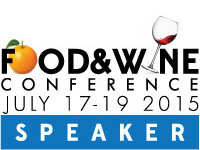 The Weekend Gourmet: Food & Wine Conference 2015 Recap...All That (and a Bottle of Hot Sauce)!! 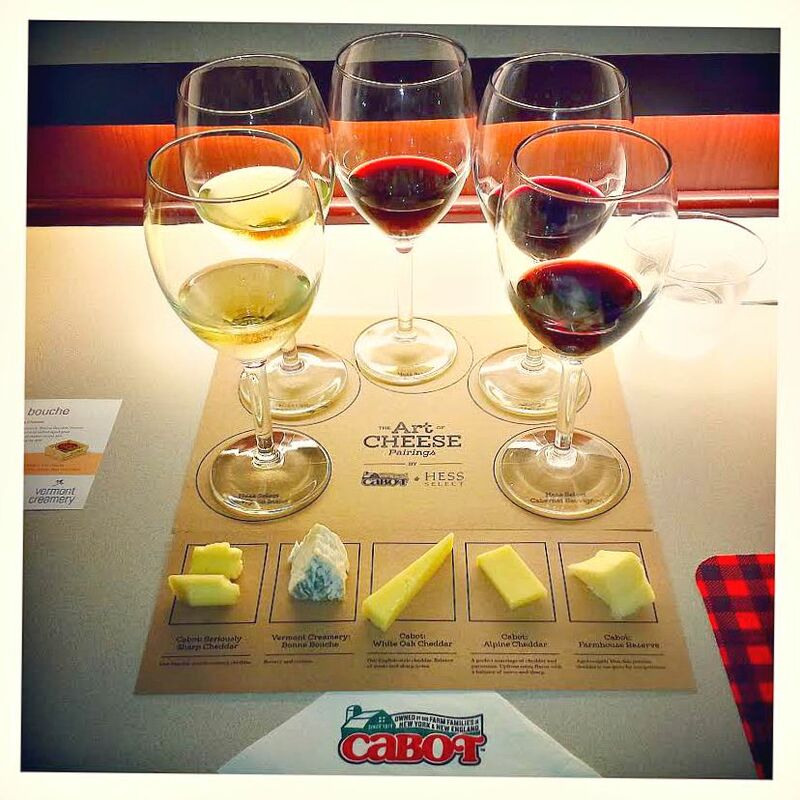 Food & Wine Conference 2015 Recap...All That (and a Bottle of Hot Sauce)!! This week is a milestone week for me: I turned 50 years old on Monday…that's half a freaking century, folks! I’m still letting that number sink in a bit. When I was 30, I fully admit that 50 sounded so OLD to me! Now that I’m actually 50? Not so much. I’m blessed with good health, a sweet husband, two very spoiled cats, an abundance of loving family and friends, and enough energy to work both a full-time day job and manage an ever-growing food blog. Last weekend, I ushered out my 40s with a bang! I attended – and spoke at – the third annual Food & Wine Conference. This three-day conference was the perfect way to say goodbye to one decade and usher in the next! 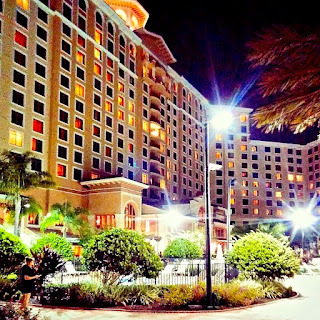 This was my second year to attend and speak at Food & Wine Conference, so I was eager to enjoy three days of fun at Rosen Shingle Creek Resort in sunny Orlando, Florida. The weekend was full of the very best things in life: amazing food and wine, connecting with sponsor brands, and time spent eating and laughing with some of my favorite foodies! From the time I arrived late Thursday night until I headed back to Texas on Sunday evening, it was non-stop fun, learning…and eating (of course). It’s hard for me to adequately put into words what the Food & Wine Conference means to me – but I’ll try. Organized by #SundaySupper founder and Family Foodie blogger Isabel Laessig, this conference feels a bit like a big family reunion! Rather than give a full day-by-day recap of Food & Wine Conference, I’m going to share some of my favorite highlights of the weekend instead. Before the conference officially kicked off Friday afternoon, I took part in a fun Florida seafood luncheon road trip. A group of conference attendees hopped in cars and headed to the new Shubee’s Coastal Grill & Bar in nearby Kissimmee. We were treated to a fantastic lunch by the chef and crew, including creamy and decadent Crab & Spinach Dip and Shubee’s award-winning Crab Cakes with Coastal Remoulade! We even paused to snap a group picture on our way out to our cars. Then, it was time for my fun roommate Marlene from Nosh My Way to get ready for registration and the first evening of festivities! 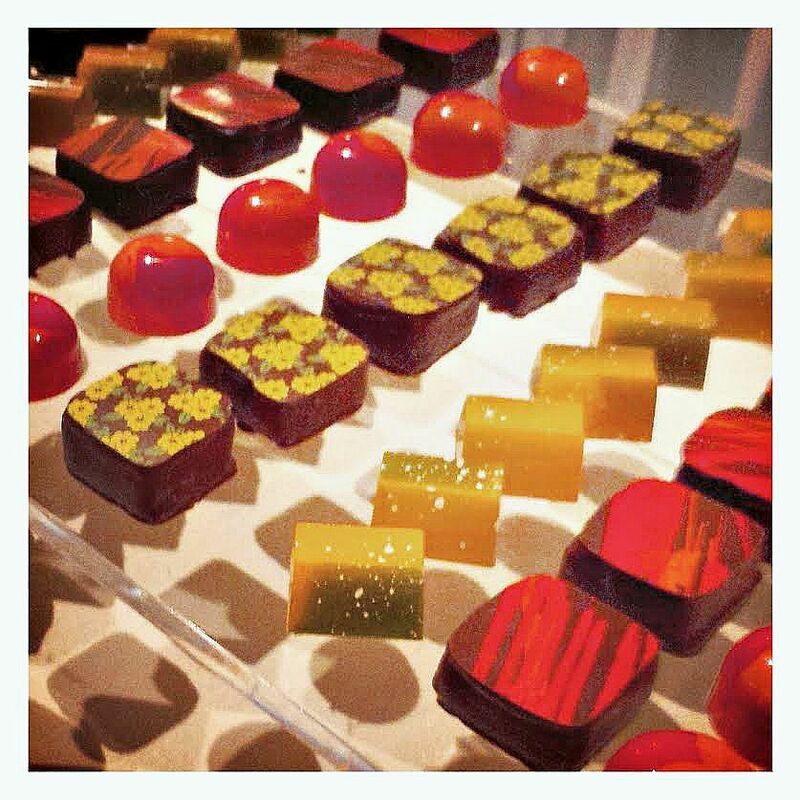 Who doesn’t enjoy eating delicious handmade artisan chocolate? No one that I know, that’s for sure! Food & Wine Conference definitely delivered the goods when it came to amazing chocolates and other sweet treats. They featured a huge display of gorgeous, colorful liqueur-infused chocolates for the Friday evening cocktail hour. Everyone in the room was buzzing about the outrageously good Peanut Butter and Bacon truffles, which were seriously amazing. I also loved the creamy white chocolate ganache that was inside the beautifully hand-decorated chocolates. When we returned to our room later that evening, we found a gorgeous display waiting for us. 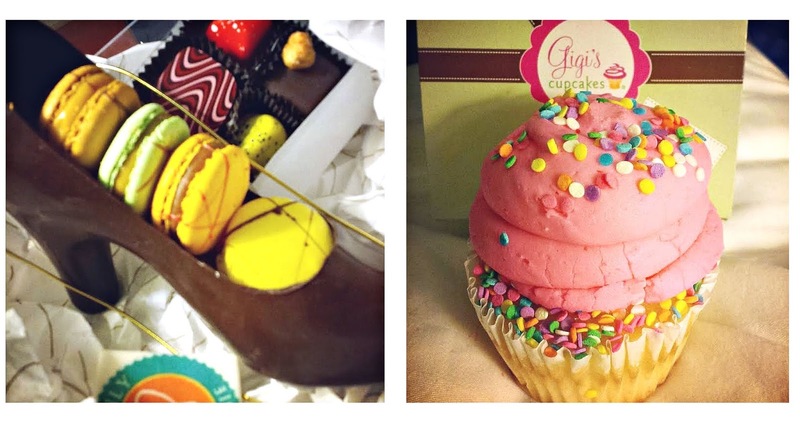 It contained a high-heel pump made from chocolate that was filled with house-made macarons – along with more of the amazing handmade artisan chocolates. The next evening, we enjoyed another bedtime sweet treat courtesy of Gigi's Cupcakes in Orlando. It was very fitting that my custom flavor was their Birthday Cake cupcake -- which came complete with a cloud of pink icing and fun sprinkles! Food & Wine Conference has some of the best brand sponsors that you can imagine! They provide the food and wine that we enjoy for our meals and snacks each day, and their reps are very friendly and approachable. Some of this year's sponsors included Cabot Cheese, Certified Angus Beef brand, Hess Collection wines, Dixie Crystals sugar, and Intensity Academy hot sauces. 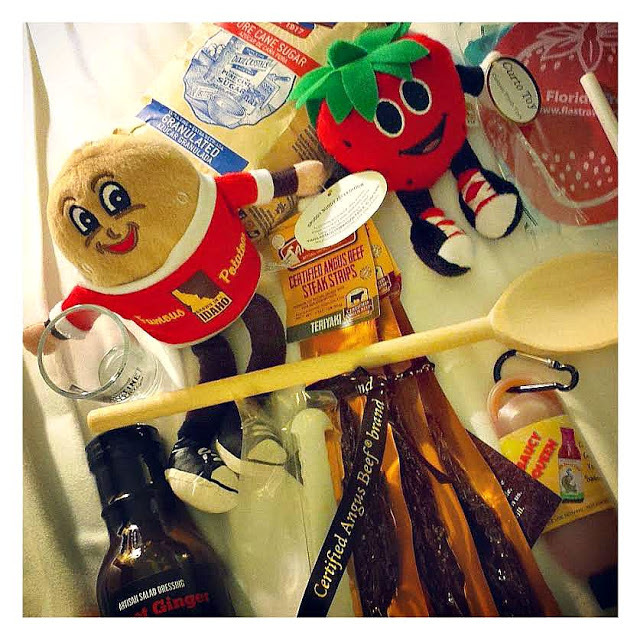 I had such fun checking out all of the fun sponsor items in our welcome swag bags! Texans certainly love our beef – so I was thrilled to learn all about beef from Certified Angus Beef brand and The Beef Checkoff. I learned how to identify specific cuts of beef and how lean beef can be part of a healthy lifestyle. Look for me to be taking the 30-Day Protein Challenge later this Fall! 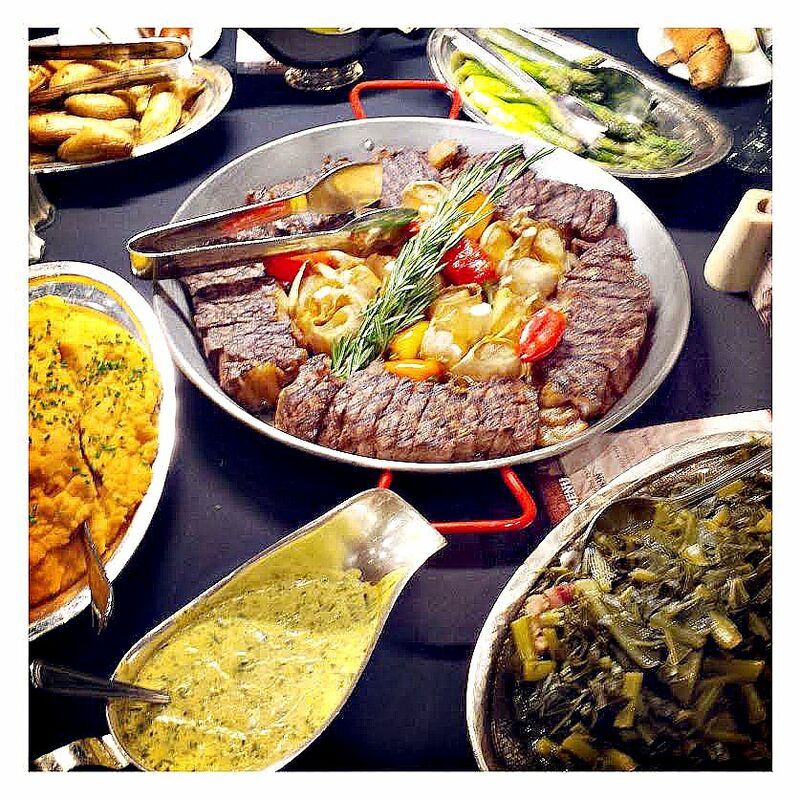 Oh yes…we also enjoyed perfectly prepared Certified Angus Beef brand New York Strip Steak with Chimmichuri Saturday evening at our amazing family-style Around the Sunday Supper Table Dinner. All of the food prepared by Rosen Shingle Creek's chefs was fabulous…but that strip steak was off-the-charts good! From the pictures I've shared so far, it may look like Food & Wine Conference is just about amazing food and wine. While that’s definitely a big part of the fun, Food & Wine Conference is also about learning lots of practical information to help bloggers take their personal brands to the next level. Like last year, I learned so much about improving my social media strategy, working with brands, and making The Weekend Gourmet the very best that it can be for my readers. On Sunday, we had our choice of several breakout sessions to choose from…and I have to say The Art of Cheese Pairings session with Cabot Cheese and Hess Collection wines was both educational and tasty. I also learned how to make my food photographs look more professional – and beautiful – from talented bloggers Faith Gorsky and Julius Mayo, Jr.
Poutine, Why Am I Just Discovering You? I was able to try a new-to-me food at this year’s conference: poutine, a Canadian comfort classic. 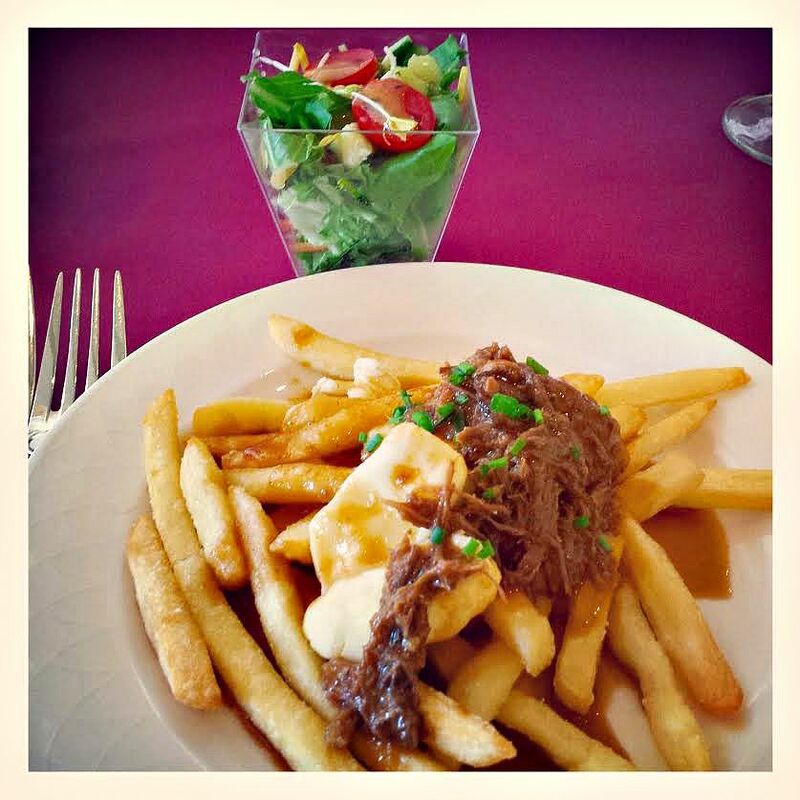 Our Saturday lunch break featured a fun poutine bar with three different options. I opted for the classic poutine. Oh my stars, it was amazing! If you’ve never had poutine, it goes something like this: a base of crispy French fries, gooey cheese curds, savory shredded beef short ribs, and a rich beef gravy. I’m not sure where poutine has been the first 50 years of my life, but I guarantee it’s going to be in my life going forward! Food & Wine Conference 2015 is officially in the books – and I’m already looking forward with great anticipation to next year’s event! The conference is open to all food bloggers who want to learn lots of great tips for growing your personal blog brand...and enjoy some fabulous food and wine at the same time. I hope to see you all there next year!